The animation in Kochadaiiyaan is embarrassingly amateurish. The plot bends and curves in all the usual ways, leaving little room for surprise or intrigue. This is kindergarten storytelling, and director Soundarya Rajnikanth throws in noisy set pieces and elaborately staged musical numbers to hold your attention when the narrative doesn’t. Whatever one makes of it, one must give both Rajnikanth and Soundarya props for effort. If the film doesn’t work, it’s not for lack of trying. I’m going with two out of five for Kochadaiiyaan. This one’s strictly for fans. KOCHADAIIYAAN is saddled with the usual good versus bad saga [the son of an honest senapati seeks revenge for the wrongs done to his father]. Having said that, I wish to add that the screenplay is truly absorbing for most parts, except when the songs show up. On the whole, the absorbing screenplay and the technology makes KOCHADAIIYAAN an interesting fare. For the legion of Rajinikanth fans, this film is definitely worth a watch. Recommended! Kochadiiyaan succeeds not because of technology but because of the writing. The film is motion capture 3D computer-animated but the animation is primeval; both the motion capture and the texture of the visuals are closer to The Polar Express than Avatar or Tintin. 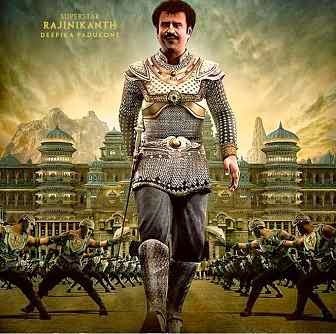 Like any other Rajini movie, Kochadaiiyaan too worships its star. His character appears in almost every scene and there are fan-pleasing moments in the form of stylistic gestures and dialogues. Walking into this film, however, I had braced myself for the bad animation — and for Rajini towering over Deepika — because weak animation can never truly get in the way of good storytelling. Kochadaiiyaan, alas, is a fundamentally flawed dud, one without anything to applaud besides grand (if self-glorifying) ambition. And little is as heartbreaking to witness as utterly failed ambition. But even Rajini, the one and the only, can’t pick up a film and run with it, if it has the oldest, creakiest plots cobbled together from many books. But the best tech specs in the world can’t rescue a sinking story. Motion capture technology is a thing to behold. It makes animation as life-like as is possible. After a point, it all becomes too much sound and fury and not much else. One Rajini flipping cigarettes is much more fun than two Rajinis flinging swords in never never land. The dance routines get comical when the steps are out of sync with the music, similarly the Hindi dialogues don’t really work with the Tamil lip sync. Conventional fans might find it a bit hard to worship their hero in this CGI avatar, but Kochadaiiyaan is a big bold step in opening new frontiers to film making, a step that deserves to be supported. Considering there’s ample exposure to Hollywood animation, this experiment does feel a little amateur. Originally made in Tamil, its Hindi version jars occasionally due to the inconsistent lip-sync. Although Rajinikanth is remarkably captured through his mannerisms and voice, and lends versatility to three characters – Rana, Dharam and Kochadaiiyaan – his presence in flesh and blood is something his fans would desire most. ‘Kochadaiiyaan’ is the story about how mighty warrior Rana fights to restore his father Kochadaiiyaan’s lost glory.Despite the lack of technical finesse, the filmmaker deserves to be applauded for taking a step towards innovation and change, and setting the ground work for ‘Rana’. Having said that, Kochadaiiyaan might have taken a small step towards introducing Avatar-like technology into our lives, but it’s no giant leap. If you have blind faith and (obsessive) love for Rajinikanth and all things animation, you may enjoy this film. For others it may prove a battle to remain glued to your seats.